Significant Work: Member of the Beatles, writing and performing the song ‘Imagine’, a peace protest from his bed with wife Yoko Ono and changing the face of music forever. In 1945 Lennon was expelled from his primary school for misbehaviour and it was only later on in his life that John Lennon discovered he had dyslexia. This explained his lifelong inability to spell and tendency to transform one word into another of similar sound. Despite this John Lennon, together with Paul McCartney wrote some of the most influential music and lyrics that the world has ever heard. His lyrics went on to influence the success of the Liverpool Poets and the Underground poetry movement. 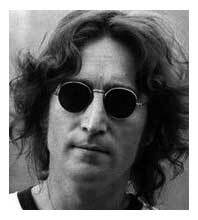 Additionally, John Lennon was considered legally blind without his glasses. However, he never let either of disabilities stand in his way and he became one of the most influential musicians ever.